Derived from plant extracts, this bulk bottle of Ecoleaf Liquid Hand Soap has a slight grapefruit twist and is gentle on your skin as well as the environment. It's natural formula is completely biodegradable and sourced from sustainable ingredients. Suitable for vegans and packaged in recyclable containers, this hand soap is designed keep your conscience clean, as well as your hands. Directions for use: Squeeze onto hand and wash with water. 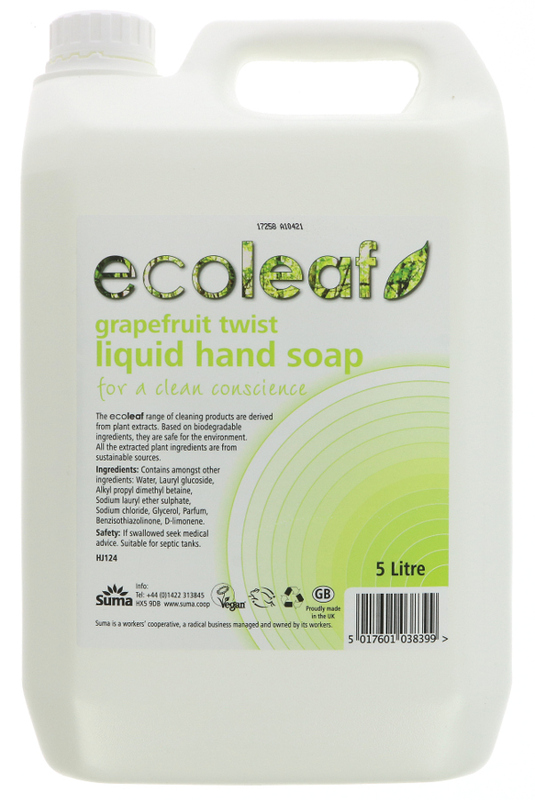 The Ecoleaf Hand Soap - Grapefruit Twist - 5L product ethics are indicated below. To learn more about these product ethics and to see related products, follow the links below. Excellent handwash, mild and gentle with a subtle fragrance. I wash my hands a lot and suffer with eczema but this soap is mild and gentle and does not dry them out. I would highly recommend. Dries my skin a bit. 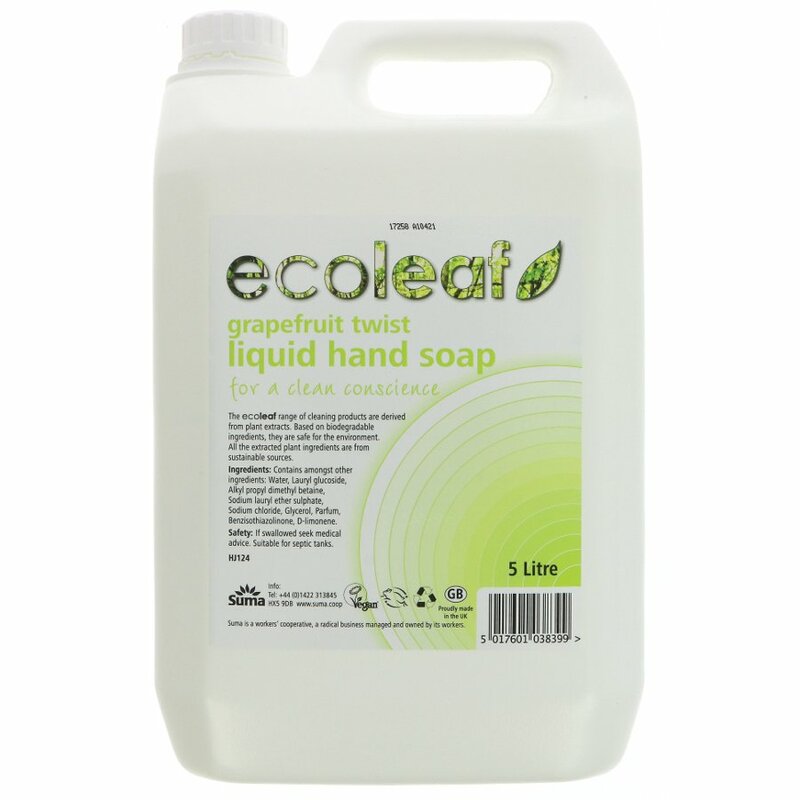 There are currently no questions to display about Ecoleaf Hand Soap - Grapefruit Twist - 5L.